Welcome to the SIUE College of Arts and Sciences Advising page! Here you will find all of the information you need to make appointments with your advisor, access campus resources, and prepare yourself for success in the classroom and beyond. In our office, you will find highly qualified and engaging advisors to help you plan your academic track, offer suggestions on scheduling and course requirements, and help you explore alternative options if you’re experiencing any academic complications. 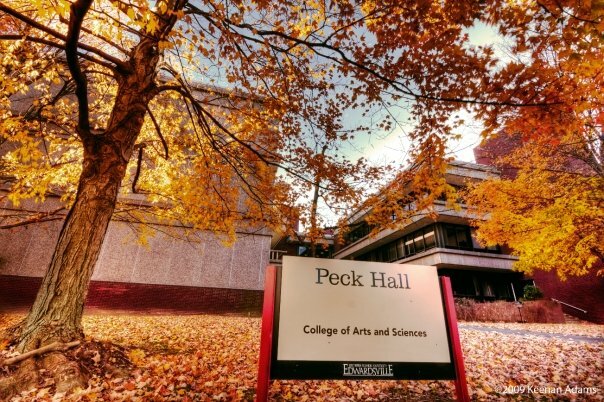 We are here to assist you in getting the most out of your educational pursuits, so come on in to our office located in Peck Hall and let us help you reach your potential. Appointments are available during open hours of operation. Students must make an appointment 24 hours in advance to meet with their advisor. E-mail requests for scheduling an appointment are not accepted. Students that are 10 minutes late for their appointment will need to reschedule. Login to Starfish through Blackboard. Come to the CAS Advising office (location listed above). Call the CAS Advising office (phone number listed above).